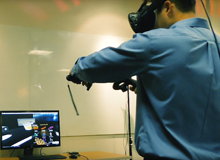 Check out Parker's virtual reality demo showcasing a working manufacturing floor and a product showroom where you can interact with a full host of their products. 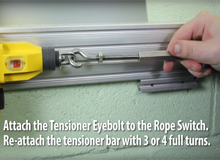 This video shows how to install gripper and tensioner for the Omron ER and XER series rope pull emergency stop switches. 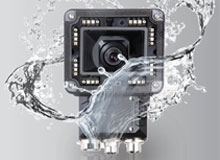 Safe and transportable, this robotic solution boasts quick startup, easy changeover and advanced, built-in vision. 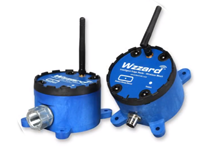 Learn how simple it is to get started with the Industrial Internet of Things (IIOT) with Advantech's Wzzard Wireless Sensor Network. The Iwaki Pump Engineering Team, originators and holders of many pump patents, proudly introduces their newest design innovation. 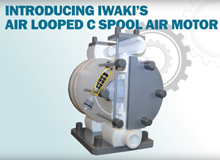 After years of thorough testing and successful operation, Iwaki Air has now completely re-designed the Air Motor to include the new Looped C Spring Spool. 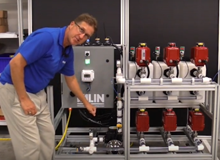 Corey Foster demonstrates how Valin's products and services can tie into the concept of the Industrial Internet of Things. 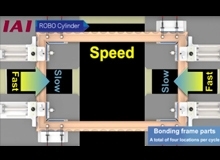 This system produces frames by bonding resin parts. A total of four locations are bonded. Adhesive is applied to the end faces of resin frame parts. Then, the end faces of the frame parts are pressed together to be joined. 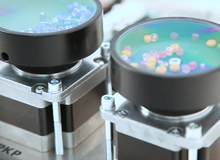 This system rolls hexagonal socket head setscrews (hereinafter referred to as "setscrews"). 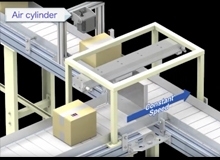 Air cylinders are used to introduce material to the rolling machine and remove processed setscrews from the machine. 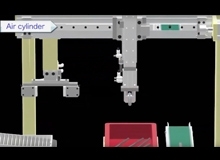 A loader/unloader for a press machine that produces lids for cans. 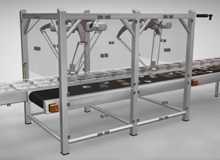 It loads the material in the material feeder to the press machine and unloads the pressed products to the product chute. Changing the speed during movement to reduce the cycle time by 20%. 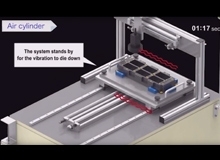 Cardboard boxes containing CDs travel on a conveyor. There are five different types of cardboard boxes, and each type contains different CDs. Boxes are sorted by type and transferred onto five product conveyors. 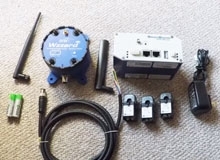 A simple system configuration to reduce the cycle time by 44%. 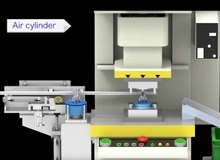 Material, round bars, are checked for outer diameter before a process of rolling machine. 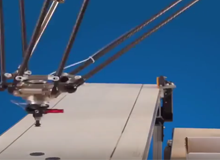 This system removes burrs around holes drilled in a pulley*1. Eight locations are deburred. 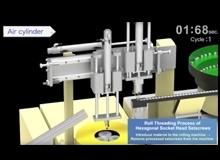 The deburring brush attached to the motorized spindle*2 is used to remove the burrs along the edge of holes. 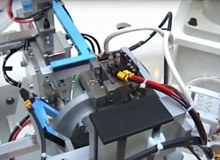 An OMRON Adept Quattro Robot and an OMRON Adept Cobra s800 inverted robot in an in-house demonstration using dual conveyor tracking and vision. 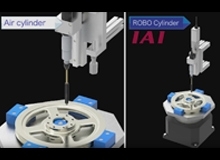 STOBER, a recognized leader in reliable engineering and uncompromised support. 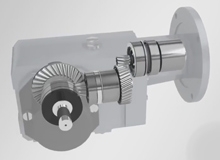 Their gearboxes for motion control and power transmission applications are built on German engineering and are specified, assembled, painted and shipped right here in Kentucky. But the true mark of reliability is proven over time. Part feeding can be a complex challenge. 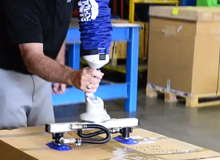 It's especially costly and time consuming when you need to change parts often. Not anymore! 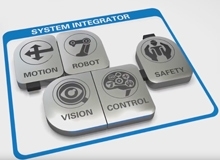 In this video, Omron demonstrates its ongoing focus on innovative packaging solutions that advance manufacturing and productivity through integration of robots with sensing, control, motion and safety capabilities. 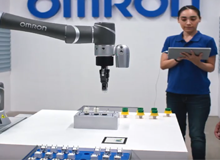 The Omron PackXpert Solution brings together Omron’s complete line of robotic automation products into a single, fully integrated packaging system. 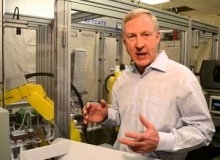 If you are involved in manufacturing or packaging, you know that implementing and maintaining a robotic automation solution is no small task. Advantech 21.5" Full HD TFT LED LCD Industrial Multi-Touch Stainless Steel Panel PC meets the IP69K test for food & beverage industry. 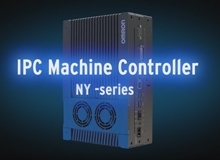 Omron's IPC Machine Controller combines proven machine automation with the freedom to use PC technology: working together but independently. 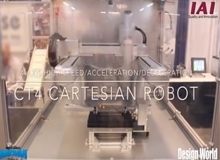 Introducing the CT4 Cartesian Robot, a high speed cartesian pick and place unit intergrated with a vision system so that it can pick up parts out of a random work area and place them down into an array. 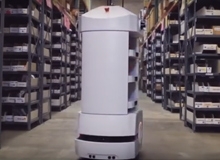 The Omron LD Mobile Robot is a self navigating Autonomous Intelligent Vehicle (AIV) designed for dynamically moving material in challenging environments. 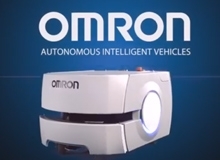 Omron's Adept Lynx is self navigating Autonomous Intelligent Vehicle (AIV) designed for dynamically moving material in challenging environments that may include confined passageways as well as dynamic and peopled locations. 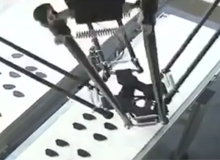 An invert mounted Adept Viper 6-axis robot in a pick-and-place demo, using vision guidance and conveyor tracking. 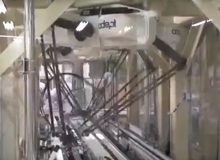 High Speed Adept Quattro Robots Used in chocolate manufacturing at a production facility in Japan. 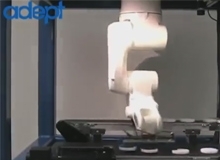 This video demonstrates the unmatched speed of the Adept Quattro robot and technical achievements in robot system performance. 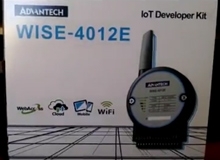 Introducing Advantech's WISE-4012E. 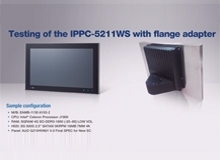 Advantech's new generation of remote I/O & sensing devices bring an IT oriented spirit to the market. 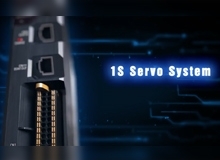 1S is a servo system designed to optimize the full cycle, through the machine design, installation and commissioning tasks and finally to the maintenance once in production. 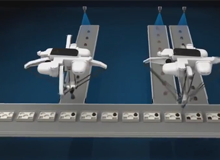 This is the current inter-conveyor transfer process for a relay manufacturing line. 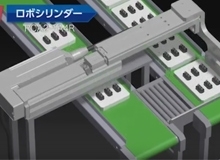 This process is where soy milk and brine are mixed in the tofu manufacturing line. 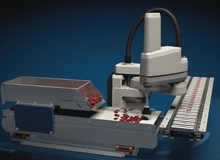 The Hornet 565 is a parallel robot (also called delta robot) for high-speed picking and packaging applications. 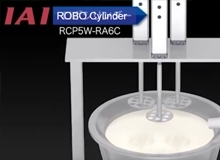 The use of robots in packaging applications continues to grow. 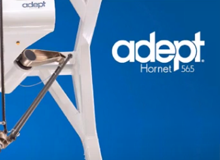 Omron Adept is proud to introduce their latest high-speed packaging robot to the market, the Hornet 565. 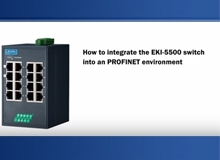 This video shows how to integrate EKI-5500 switch into a PROFINET environment. 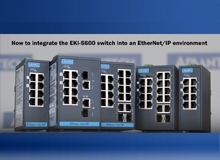 Advantech entry-level managed switch products support media redundancy protocols including EtherNet/IP real time standard. 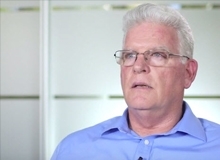 In this video, Chris Sullivan talks about the delicate blend between Automation and the Human Factor to ensure safety measures. Each factor is just as important as the other. 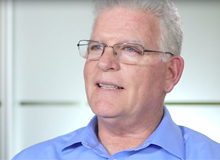 For 40 years Valin has been a resource to our customers providing the knowledge and expertise to help make your process more efficient and more profitable. We have the skills and knowledge to assess your company and manufacturing processes, before coming up with expert solutions to your downtime issues. 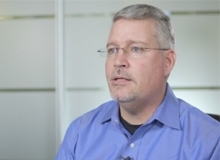 Brian Sullivan, Director of Sales, Technology at Valin Corporation, discusses the importance of repeatability, reliability, consistency, and accuracy. 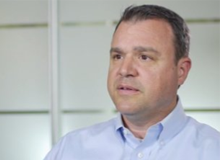 Patrick Bartell, Vice President of Sales, Oil and Gas at Valin Corporation, discusses the benefits of updating legacy systems.